We all love the stock android experience , don't we ? But these days a lot of companies add their UI and load the phone with bloatware which makes it dull. Well, looks like lenovo realized it finally. Yes Lenovo has announced that all forthcoming smartphone will feature stock Android operating system. The company says that Lenovo K8 Note will be the first device to ship with stock Android 7.1.1 Nougat. Lenovo has today announced that all forthcoming smartphone will feature stock Android operating system. The company says that Lenovo K8 Note will be the first device to ship with stock Android 7.1.1 Nougat. What it means is that it will give users a cleaner interface, a smoother experience and no excess bloatware ( we all hate bloatware ). With the Android 7.1.1 Nougat update in k8 note, consumers will get latest features like multi-window, launch actions and improved bundled notifications. In addition, the OS will also allow users to access popular Google services, including Google Assistant. Recently Lenovo put up camera samples, which made it clear that the focus of the smartphone is on its camera. Other than that, a recent leak suggested that the Lenovo K8 Note could be powered by a 1.39GHz deca-core MediaTek Helio X20 chipset, paired with 3GB of RAM. The phone will be launched tomorrow ( 9th august ) and it will be available in amazon. 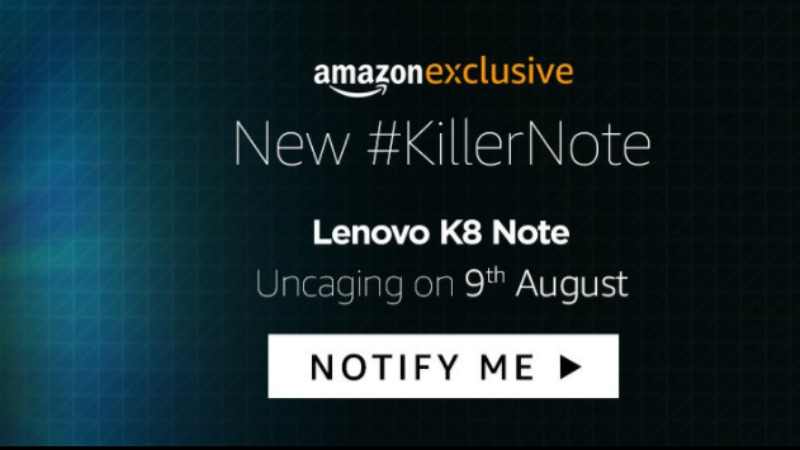 Amazon has setup a dedicated page for Lenovo K8 Note when it goes official on August 9 in India. Lenovo fans can set up a reminder for when the K8 Note goes on sale. Simply go to Amazon India's Lenovo K8 Note landing page, and tab on the 'Notify Me' button on the top banner. The internet is full with leaks of iPhone 8. Be it in terms of designs, specs, hardware - you name it. But the device’s individual parts are now cropping up online. 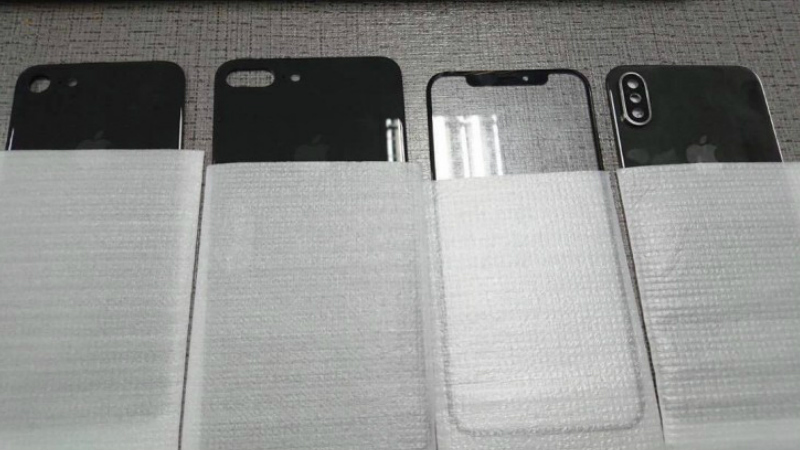 These arrive just at the time when mass production of the iPhone 8 has reportedly begun. The latest iPhone 8 leaks show us the front and back panel, the camera ring at the back, and even the metal frame of the upcoming Apple flagship. A Reddit user going by the name Kamikasky posted the front and back panle images of the upcoming iPhone 8 . He claims to have gotten hold of these from an industry source, who got it from the Chinese manufacturers directly. 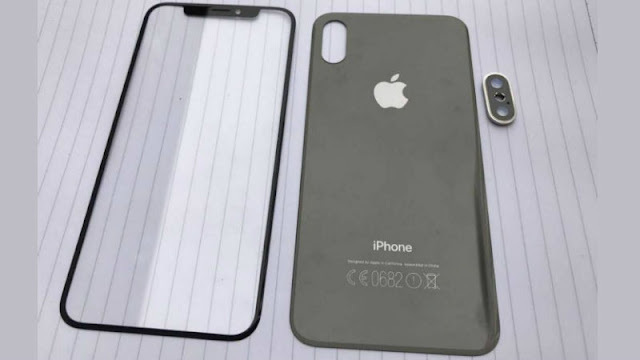 The leak shows that the iPhone 8 has a glass back, with the Apple logo and the vertical dual camera setup at the back. If these rumours are true then it would be confirmed that the iPhone 8 is sporting a nearly bezel-less glass front and a completely glass back instead of the usual aluminum. Apple is expected to give iPhone 8 owners more screen than the 5.5-inch iPhone 7 Plus without actually making its smartphone size any bigger. The iPhone 8 is also expected to be powered by the A11 chip, feature an OLED panel, have a 3D front camera, and sport some AR features as well. While some report of a delay in launch, some reports claim that the iPhone 8 is on schedule and will launch in September. Your Phone is not secure, Your Call can be spoofed. Here's How. IMSI , International Mobile Subscriber Identity. This is a GSM unique identifier that defines a subscriber in the wireless world, including the country and mobile network to which the subscriber belongs. You Might Want to Read : SIM card is now going to be a thing of the Past , With This Invention. ICCID , Integrated Circuit Card ID. This is the identifier of the actual SIM card itself - i.e. an identifier for the SIM chip. It is possible to change the information contained on a SIM (including the IMSI), but the identify of the SIM itself remains the same. IMEI , International Mobile Equipment Identity and is a unique number given to every single mobile phone, typically found behind the battery. Simply Put, IMSI catcher is a fake phone base station that tricks cell phones into routing their outbound calls through his device, allowing someone to intercept even encrypted calls in the clear. Here's a rough discussion on How was it done. The concept is Simple, your mobile phone automatically tries to route its communications through the strongest signal from nearby phone base towers, and the IMSI Catcher satisfies this need by emitting the strongest signal. What are some other ways how an attacker tries to gain control over your phone? If you use P2P services, you might have seen 'cracked' premium apps. In that case, I'll have you known 3 random ways that a attacker tries to gain access on your phone. A 'cracked' version of a premium app. Uninstalling and installing the malicious version of the same app. Vodafone In India provides M-PESA service for money transfer , But Security Researchers are able to compromise these systems. So basically, The type of attacks possible here are only limited by the coding ability and creativity of the hacker. So Do You think you are Secure? 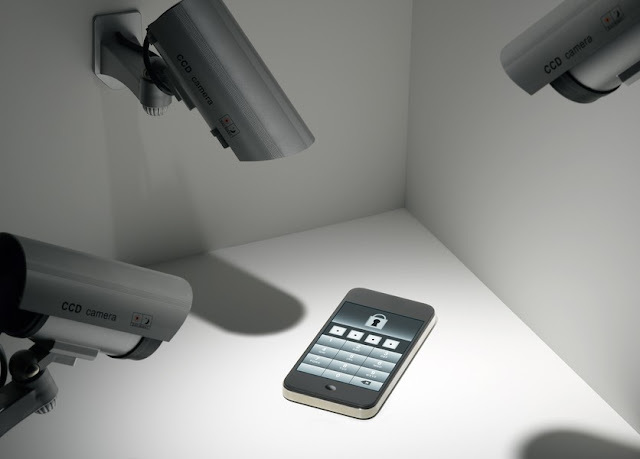 What are you using on your phone to keep yourself secure? Let Us know! Privacy has been a great issue among Android users. According to Bloomberg, Google is reportedly looking to give users more granular control over app permissions. 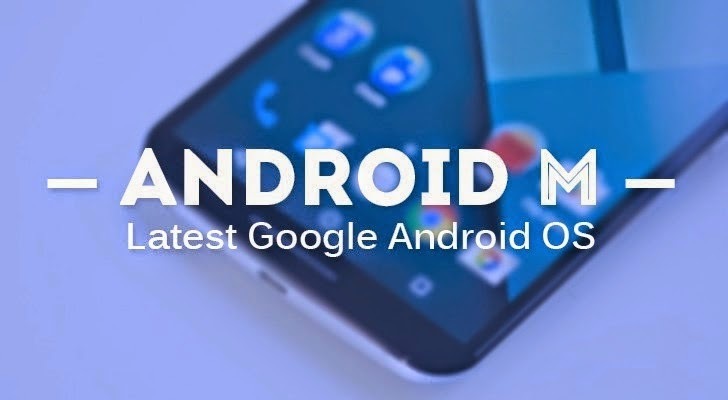 According to Bloomberg the new operating system, set to debut at Google I/O 2015, will let users pick and choose what information is shared with certain applications, including photos, contacts, and location. This is an evolution in Google's walk to bring more privacy and peace of mind to its users. That means you’ll be able to set if an app—Facebook, for example—can access information such as photos, contacts and location. It’s unclear how the new features will affect the functionality of an app, because few permissions are necessary for some apps and if those permissions are not granted, apps might not work the way they suppose to work. This new option will presumably cause some strife among Google and developers, who feed off that information. We’re expecting to hear more about Android M at Google I/O, which kicks off on May 28. LG's mobile chief, Juno Cho, said that “smartphones have become clones of one another.” He also said that . "Almost all the phones on display and introduced looked same — the same metal casing and emphasis on thinness, overall form factors that are very similar." 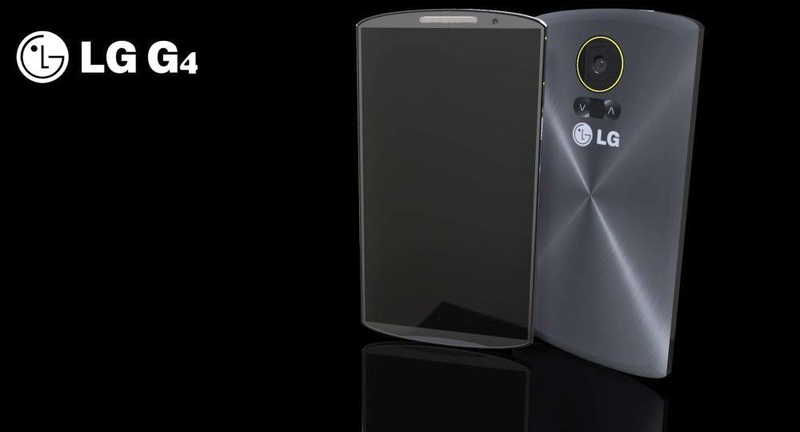 At the announcement of G4 smartphone they stated : We're not like theothers. LG is seeking to distinguish its new G4 phone from Apple's iPhones and Samsung's Galaxy smartphones by two ways-Optional leather backs and manual camera controls. Using metal or ceramic, LG will make phones with traditional backs, too. LG said leather models will cost more in some markets although the prices weren't announced. 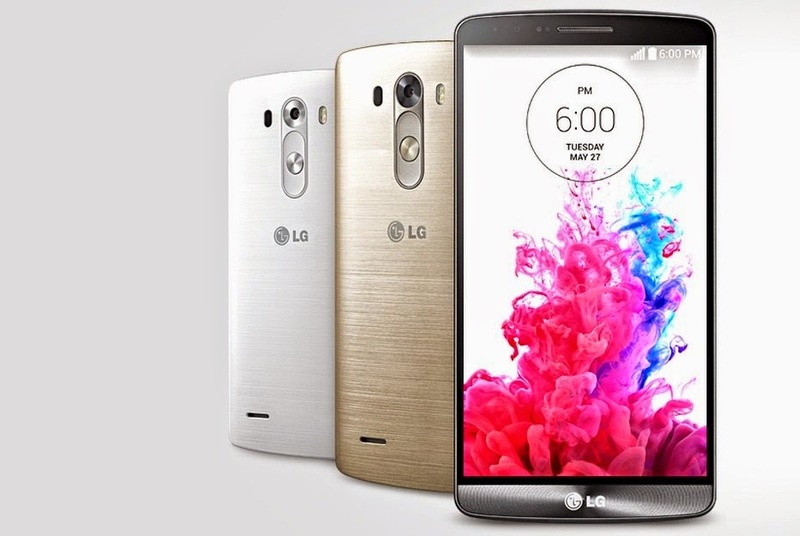 The G4 is available immediately in LG's home country of South Korea. It will be available around the world in the coming weeks. LG made a dig at Samsung, without naming it, by pointing out that glass backs can be marred with fingerprints. Some of Samsung's older phones had imitation leather backs. The G4 will have a choice of leather finishes. The G4 uses real leather and has stitching down the middle — for looks, more than anything. LG is adding features to improve low-light images. These are improvements over the average smartphone, the inclusion of a lens that can open wider to let in more light and reduce blur. The G4 also has a plethora of manual controls, rivalling those of full-body cameras known as single-lens reflex (SLR). LG said no other major smartphone released "this year" has that capability. LG was careful about the phrasing. Most cameras use JPEG, which takes less storage space but introduces distortion in the compression. The G4 differs in letting people save images in RAW format, which permits a greater degree of editing. One nice feature, even if the phone's display is off it has the ability to snap a photo by pressing the power button on the back twice. Samsung's S6 launches the camera with the double press of the home button, but the user still has to then take the shot. LG also made a dig at Samsung for this, without naming the company. In an interview, Cho said LG "felt that kind of experience is important for the customer." As much as LG tries to be different, the layout of the G4's photo gallery resembles the iPhone's. The G4 also has a slot for a memory card — something lacking in the iPhone and S6 phones. LG keeps the slot — especially important if people start storing all their photos in RAW. Few phones have non-removable batteries these days, in part to keep phones thin. LG sacrificed thinness so the battery can be removed and replaced with a spare. In this guide we’ll show you how to Unlock the Bootloader, root and install the Oxygen OS on OnePlus one phone. You can’t receive the OTA update for the same, you will have to install it manually on your phone. This OS is the official update for OnePLus one users and not a third party custom ROM. Before following this guide do take the full backup of you phone and save it in some safe place. Step 2. After the installation. Restart the computer. Step 1. Download the ADB and fastboot file here and extract the folder on your desktop. Step 2. Now turn the phone off. Then boot it into fastboot mode by holding volume up + power. The phone will display “fastboot” text indicating that it has successfully entered fastboot mode. Step 3. Connect you phone to PC with USB cable. Step 4. Now open a command prompt window on the ADB folder. Hold Shift button and Right click on the White space of the folder and click on “Open Command Window here”. Close the command prompt windowin your computer. Step 1. Download the latest TWRP recovery here. Step 2. Rename the recovery file that you downloaded above to recovery.img and move the img file into the ADB folder that your downloaded and extracted on your desktop. Step 3. Turn the phone off. Then boot it into fastboot mode by holding volume up + power. Now the phone will reboot and TWRP is now installed on your phone. Now follow the next step to root your device. Step 1. Download the SuperSu zip file here and copy the file on your phone. Step 2. Boot your phone in recovery mode. To do this hold volume down + power. Leave the phone at the main screen of the custom recovery for now. Step 3. Now go to Install > browse to SuperSU zip and select it. Swipe to confirm the installation. Then reboot. Step 1. One the TWRP recovery in installed on your device, Download the OxygenOS ROM zip file here and save it on your desktop. Now extract the folder on your desktop and you will see two different files in the folder. Oxygen_1.0.0_Flashabdle.mdf and Oxygen_1.0.0_Flashabdle.zip. You need a zip file. Step 2. After this connect you phone to the PC and Move the Oxygen_1.0.0_Flashabdle.zip file on your phone. Step 3. After this turn off your phone and boot in recovery mode. TO do this Hold Volume down button + Power button. Step 4. Now you phone will boot in recovery mode. Step 5. Now after this select Wipe option and and delete Cache, Dalvik cache and data. Step 6. Now go back and Select Install option and ‘choose zip from sd card’ from the Options. Step 7. Select the OxygenOS zip file and confirm the installation on next screen. 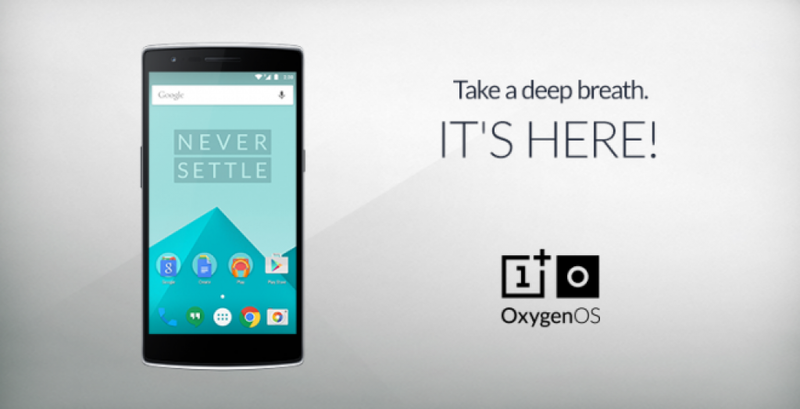 After the flash succeeds, you can reboot the device, which will take you to the new OxygenOS. From sources within Apple, technology columnist Michael Andrew and his team claim to have obtained photos and illustrations of the second-generation iPad Air. Apple's forthcoming iPad, which is expected to debut on October 16. New iPad Air will come with Touch ID built into the home button. It will also come in a gold colour option, according to Michael. The new iPad is said to come with an 8MP camera instead of the 5MP camera on the first-generation iPad Air. As expected, Michael says it will run on an Apple A8 processor and will come with 2GB of memory as opposed to the 1GB of memory found in the current iPad. The new tablet will be 0.5mm thinner. Apple may get rid of the 16GB option and could instead offer 32GB, 64GB and 128GB storage variants. Expect to see one row grill speakers rather than the two row grill on the current iPad Air. The volume buttons are more recessed. The mute/vibration switch is said to be completely gone in order to keep the design super slim. We're expecting to hear more about Apple's next iPad in the upcoming days.. The smartphone world is multiplying like never before, and the competition has just become more cut-throat. Sony and Apple are the big players; there is a magnitude of excitement surrounding Sony Xperia Z3 and iPhone 6. Techie buffs will be baffled on which one to pick, as both pieces are packed with high-tech innovation. Let’s compare the two phones and decide on a more desirable one. Z3 is awe-inspiring at first glance; firstly it is bigger than Z2 and second the stunning vibrant blue display layer. A glance at the phone and anyone can guess that it is loaded with features. Sony has layered the phone with world class aluminium and tempered glass Omni Balance theme. Handling the phone is easy with angular body and rounded edges; it causes very little strain on the palm. Z3 is a lighter phone than Z2, it weights 152g, lighter by 11g, and Z2 is slimmer than Z2 by 7.3mm. Z3 is covered with glossy glass, and it is sturdy, and never breaks easily, Sony has used a new nylon cap to strengthen the rigidity effect. The Omni Balance design makes the phone dust proof, consumers can carry the phone amidst an outpour of rain and dust, and it will continue to look slate clean. It can be used in the pool or shower. Z3 has the highest water proof rating of IP65/68, the highest in the smartphone world. It can last in 1.5m of water for 30 minutes. There are new colour options as well that are captivating and different from the regular choices such as silver green and copper. The screen quality of Z3 is stunning, the Z2 itself was mesmerizing; Z3 is a whole new display world. Sources say it is brighter than its predecessor by 20%, the 600 candela screen offers greater readability under razor sharp sunlight. It sports a 5.2 inch full High-Definition (HD) screen, the colours are crisper and so is the contrast. The stunningly marvellous display of colours is the outcome of the revolutionary X-Reality engine setting technology. The 424ppi display is filled with a density of pixels for effective commuting. The battery power of Z3 is known to be exemplary; sources were able to run a multitude of tasks in half an hour and witnessed no signs of battery drainage. Sony is confident that the battery will last for two whole days, with not just little but regular usage. The phone runs on 3100mAh battery power. Z3 can be used through any length, the operating system moves rapidly, with minimal space for shutter lag. Consumers can browse through galleries, browsers and home screen in a jiffy. The phone runs on 2.5GHz Qualcomm Snapdragon 801 processor and 3GB RAM. Z3 is powered by Android 4.4 KitKat, which supports a range of apps and widgets. There is so much of excitement to look forward to; users can browse through movies, music services and Walkman app. The powerful and gigantic ½.3 inch Exmor RS camera works marvellously, owners can have a blast with it. The aftermath effect is a happy feeling with smooth and crisp images. Z3 has the first ISO 12800 sensor, the camera can capture images in faint light surrounding and every detailed description of the object is visible. Z3 has the highest ISO in smartphone world. The Apple iPhone series has been a point of exhilaration for years, the iPhone 6 is a leap from the past. It’s got a bigger screen and many more apps. iPhone 6 is a different iPhone identity to iPhone 5s, and is engineered with new smartphone identity. The front display is colourful, the edges are round, and the 4.7 inch screen builds the aesthetic design quality of the phone. The display is novel Retina HD, glance through the back and it is as picturesque as the colourful front covered with supreme anodized aluminium black. 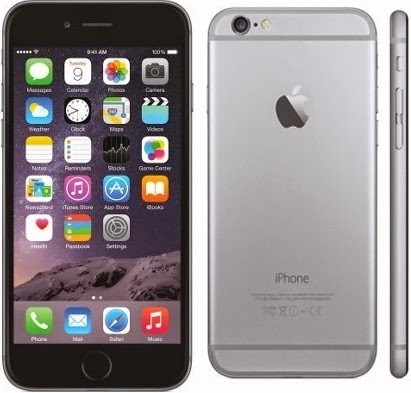 iPhone 6 is covered with potent Retina HD display with a stunning 1334x750 resolution which is 326ppi. The pixel density capacity is 38% higher than iPhone 5s. It does not have the advanced Quad HD resolution, Apple intends to focus on quality, the phone is engineered with sRGB color technology, and the backlight drop is faint and highlights the trendy sleek nature of the phone. iPhone 6 operates on an efficient 1,810mAh battery that enables 3G talk time, and 14 hours continuous usage. The battery output is admirable for sufficient usage to engage in fun conversation and discuss important business operations. The power of iPhone 6 is determined by A8 chip engineered on second generation 64-bit desktop architecture. Its magnificent power is fuelled by M8 motion coprocessor that enables users to browse through apps and widgets and play games swiftly. iPhone 6 is powered by a robust QHD 2560x1600 resolution with density of 355 pixels. Apple iPhone 6 is inserted with iSight camera that operates on image signal processor and Apple designed video encoder tucked into A8 chip. It supports video features and advanced camera such as noise reduction, continuous auto focus, superior face detection and new focus pixels. The image quality is pristine and super crisp. 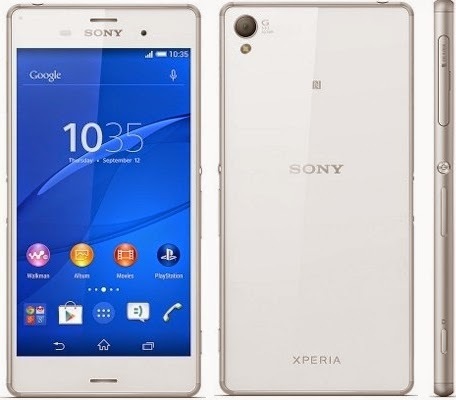 Sony Xperia Z3 portrays a superior design impact; the screen quality is more animated. iPhone 6 has a great screen display filled with range of colours, but it does not hit the eye at first sight. The battery power of Xperia Z3 is notches higher than iPhone 6. The two phones are engineered with pioneering software technology and true to its own merit. Xperia Z3 functions on a superior interior core processor. iPhone 6 has a marvellous in-built camera that involves greater usage of technology than Xperia Z3. The colour resolution and user interface versatility of both phones are leading-edge.